Do you shop at Shopper's Drug Mart? Do you like free stuff? Did you know you can earn thousands of points with the Shoppers Optimum Rewards program and redeem those points for free stuff!? 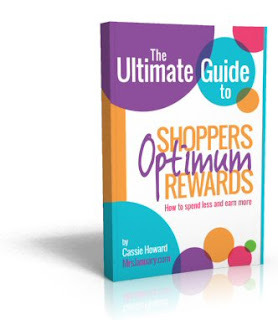 This 34 page Ultimate Shoppers Optimum Rewards eBook by MrsJanuary.com will show you how to easily accumulate thousands of points without much cash out of pocket.